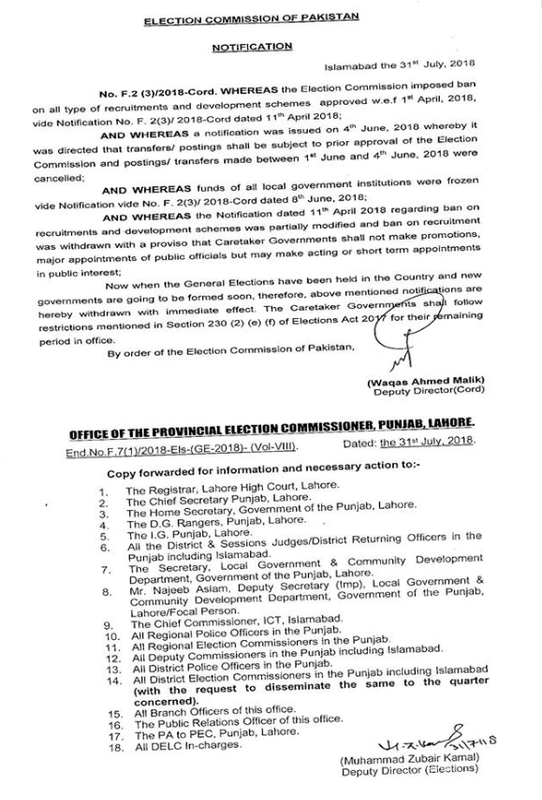 Pakistan Election Commission has issued a notification on 31st July 2018. 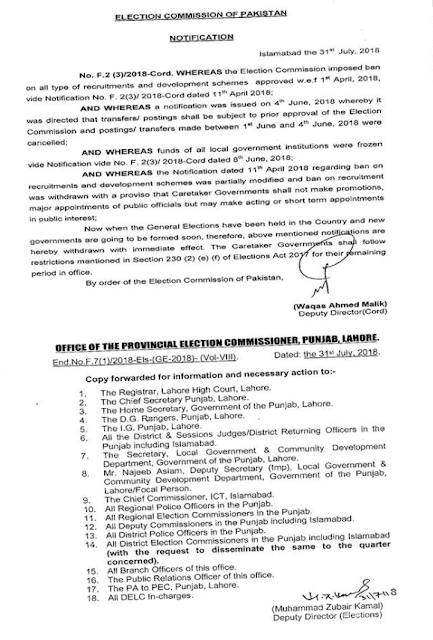 Presently when the General Elections have been held in the Country and new governments will be shaped soon, hence, previously mentioned warnings are thusly pulled back with prompt impact. Their Caretaker Governments will take after limitations specified few segment Elections Act 2017 for their outstanding period in office. 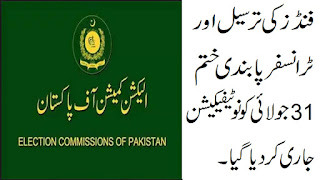 By request of the Pakistan Election Commission.